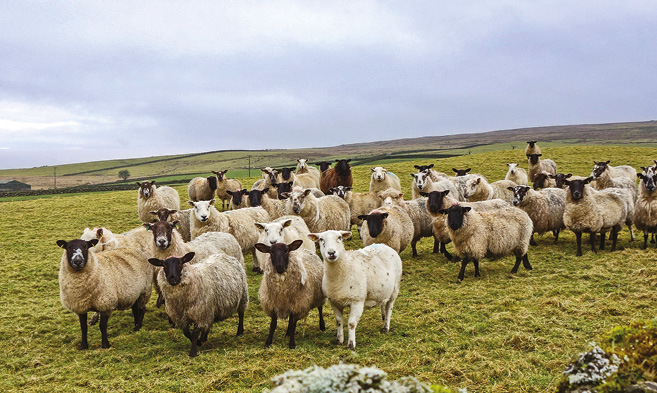 Richard Halleron explores the increasingly integrated farming and food industry on the island of Ireland and considers the potential disruption of Brexit. Irish Farmers’ Association (IFA) President Joe Healy is quick to point out that Ireland is the only EU member state to share a land border with the UK. Speaking at the recent IFA Brexit conference, held at the Goffs’ complex in County Kildare, Healy stated: “Every year thousands of animals and huge volumes of agricultural produce cross the border with Northern Ireland for further finishing or for processing, as part of a complex supply chain. Within the UK, Northern Ireland constitutes a very important trading partner with the Republic of Ireland in relation to food and drink products. The shared land border and geographical closeness has resulted in the development of a highly integrated agri-food sector, with large volumes of trade in both finished products and products requiring further processing. Over 400,000 pigs are exported live to Northern Ireland for processing annually, with, almost 400,000 lambs imported from Northern Ireland for processing. Over 800 million litres of milk are imported from Northern Ireland annually, much of which is processed and exported from Ireland. Overall, in 2015, exports of agricultural products from Ireland to Northern Ireland (including food, drink, forestry and animal by products) were €750 million, with imports from Northern Ireland of €567 million. A key element supporting the trade flows between Ireland and Northern Ireland is the significant cooperation in the area of animal health and welfare. As early as 2001, the need for a high level animal health and welfare status throughout the island led the North/South Ministerial Council (NSMC) to commission a programme of work to develop closer co-operation and joint strategies for the improvement of animal health on both sides of the border. It was recognised that cooperation in these areas would maintain and protect the highest standards in animal health and maximise the economic returns from agriculture and food in both jurisdictions. The ultimate objective of the All-Island Animal Health and Welfare Strategy is the development of policies which facilitate free movement of animals on the island. The past few months have seen many of Northern Ireland’s leading food stakeholder groups call for the continuing momentum towards a truly all-island agri-food sector maintained. Dr Mike Johnston, Northern Ireland Director at Dairy UK and Tim Acheson, General Manager of Food Service Operations at Lakeland Dairies, recently gave evidence to the House of Commons’ Northern Ireland Affairs Committee, as part of the committee’s inquiry on the future of the land border on the island of Ireland. maximise productivity and add value throughout the dairy supply chain. 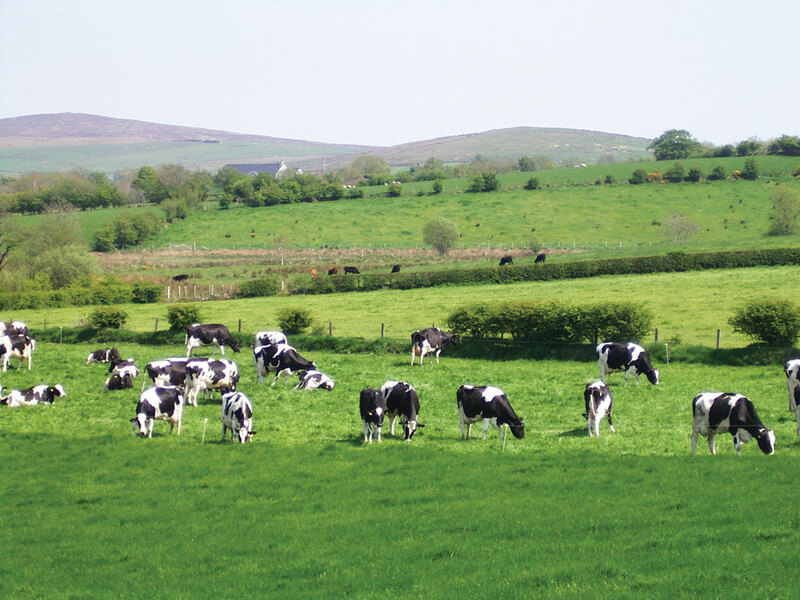 Through an all-island value chain, dairy stakeholders in Northern Ireland and the Republic of Ireland work closely together and rely on the free movement of people, raw materials and finished goods. Likewise, practising veterinary surgeons hold the same view. The British Veterinary Association’s President Gudrun Ravetz said that in all countries in the UK, the veterinary team brings an unique insight to the health and welfare of animals. She was speaking in the run-up to the recent Stormont Assembly elections. “It is from this position that we offer Northern Ireland’s next government evidence-based advice and recommendations for animal health and welfare policy. The hierarchy of the Ulster Farmers’ Union (UFU) believes that the cross border nature of the Irish dairy sector could be damaged, if the wrong Brexit decision is arrived at. During a recent visit to Brussels, a Union delegation made it clear to EU Commission representatives that the movement of goods, and access to labour across the border, after Brexit, are crucial concerns for farmers and dairy processors. UFU dairy chairman William Irvine said that Northern Ireland’s unique situation and the complexities of what will be a land border between the UK and EU are well recognised. Meanwhile, Sinn Féin’s Caoimhe Archibald believes that securing special designated status for Northern Ireland within the European Union must be a priority to maintain the agri-food industry north and south. She said: “Currently the North implements the EU Common Agriculture Policy but it is generally accepted that the British Tory administration does not place the same priority on the importance of agriculture as the EU. “Throughout the EU there are other member states whose economies, like our own, have a high dependency on agriculture. There must not be any removal of powers on agriculture. Maree Gallagher, Chair of the British Irish Chamber of Commerce, Agriculture and Food Committee, believes there has not been – and will not be – an Irish sector more affected by the outcome of the UK referendum to exit the EU than the agri-food industry. “We welcome the Irish Government’s initial response through Budget 2017, but more supports are needed for the sector. This is an integrated all-island sector that operates efficiently and seamlessly through the invisible border. Therefore, an all-island sector requires an all-island response that is why we are specifically are calling for an all-island strategy for the agri-food sector to address the consequences of Brexit”. The Chamber recently produced a paper, highlighting – amongst other things, the impact of Brexit on the all-island agri-food economy. It outlines the likely impact of WTO tariffs on Ireland-UK trade in the agri-food sector as well as addressing potential trade costs associated with non-tariff barriers being implemented through customs checks, rules of origin checks and diverging regulations. 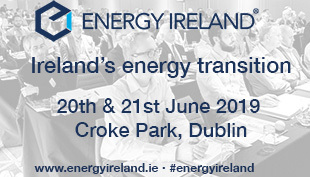 The paper also highlights the significant level of integration within the sector between Ireland and Northern Ireland where many sub sectors operate on a de facto all-island market with multiple aspects of the production line spread between the two jurisdictions.